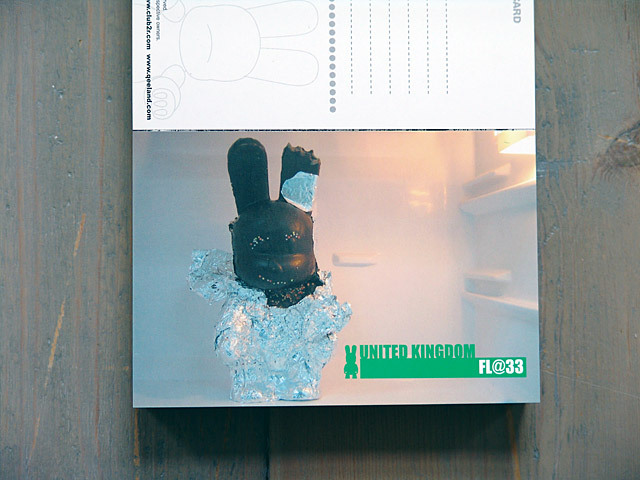 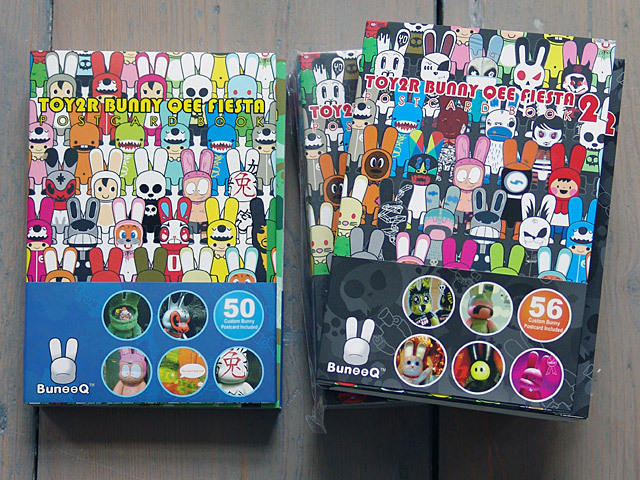 We were invited by FL@33's regular collaborator Toy2R from Hong Kong to customise one of their great vinyl toys. 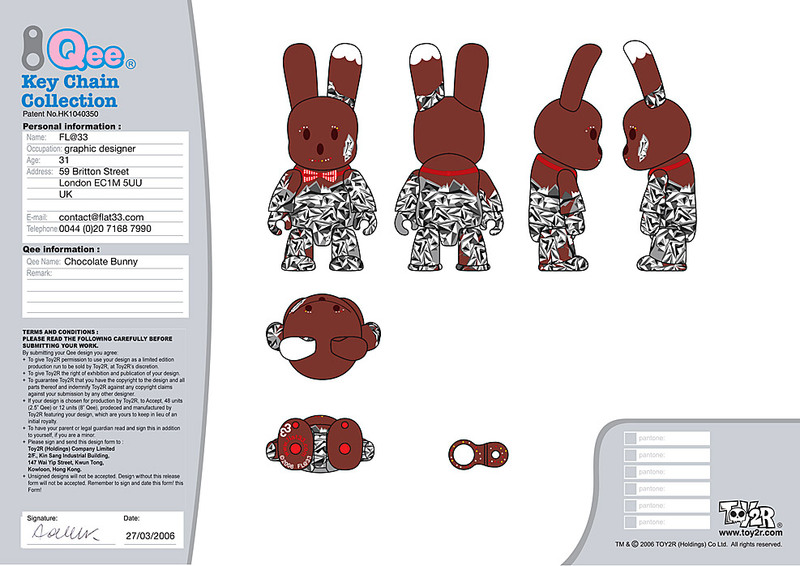 It has always been a pleasure before and we couldn't resist to get our hands on a brandnew toy shape – the 9" (22.9cm) bunny. 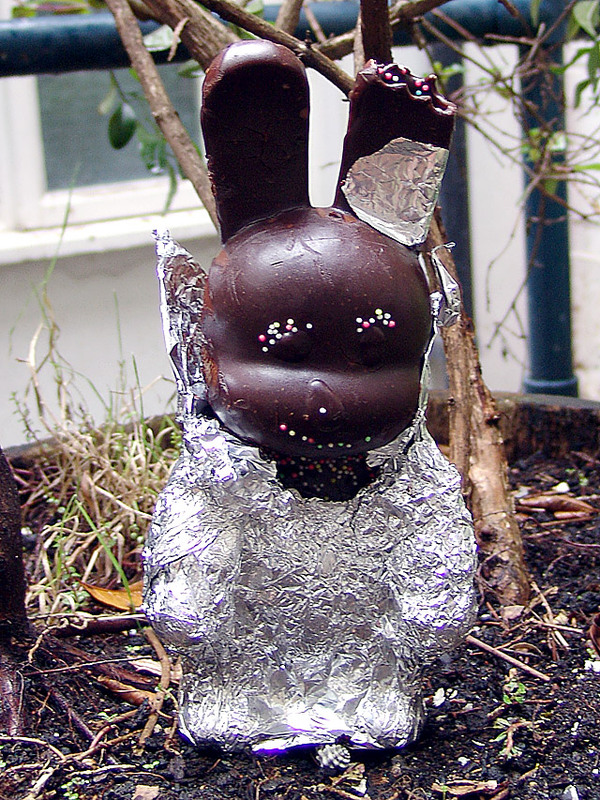 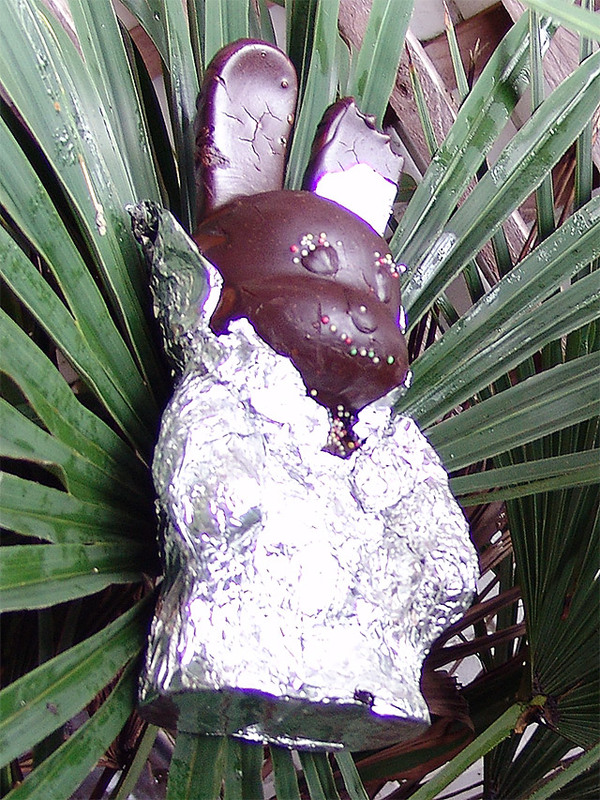 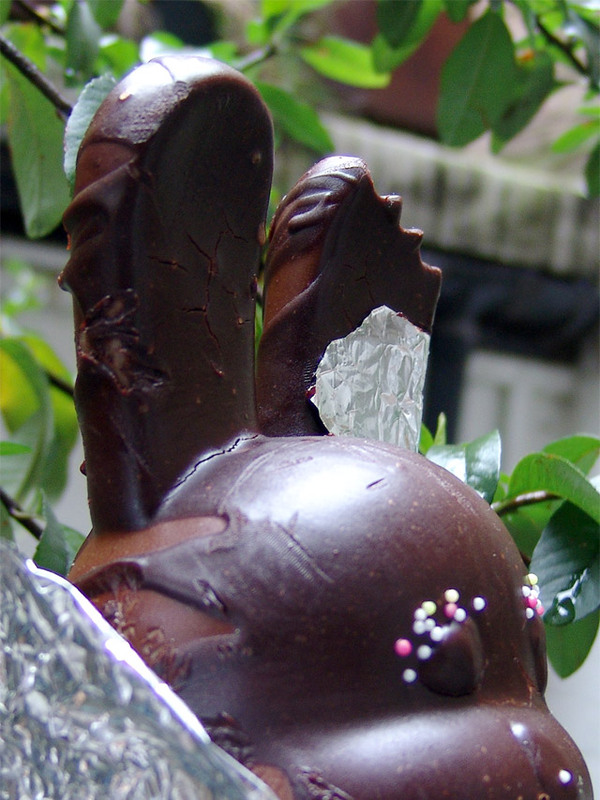 This time we cut bits of the plastic ear away and covered the rest with chocolate and sugar balls. 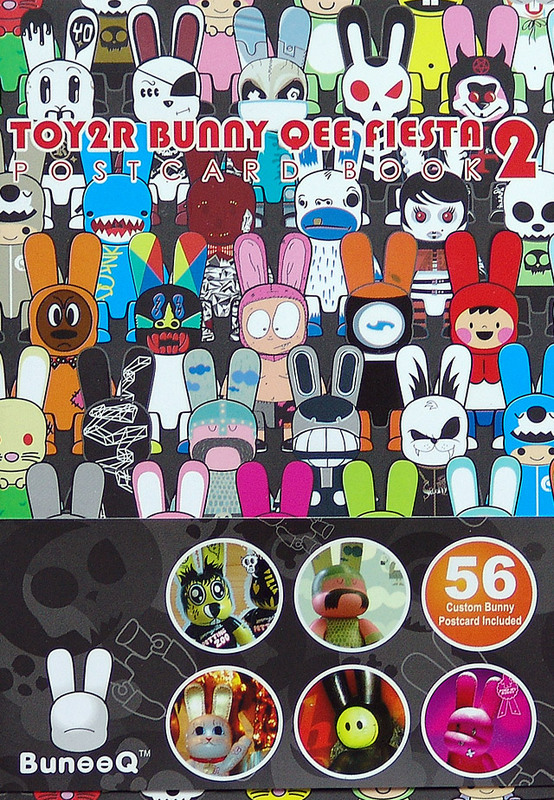 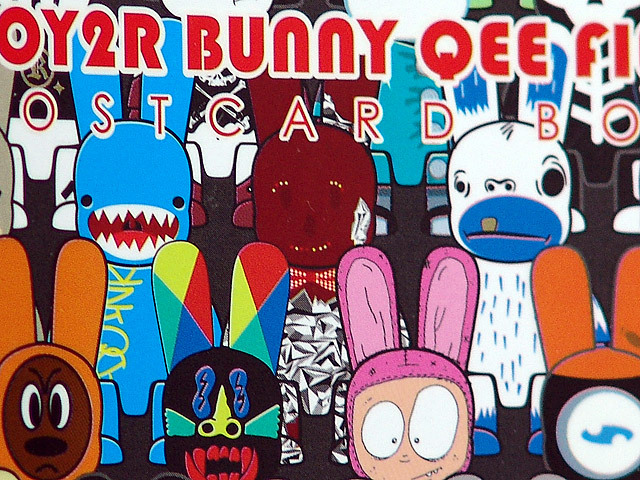 ___ A postcard book entitled Toy2R Bunny Qee Fiesta 2 (DIY Bunny Postcard Book 2) featuring our chocolate Yummy Bunny – beside another 55 custom bunnies – was published by Toy2R later that year. 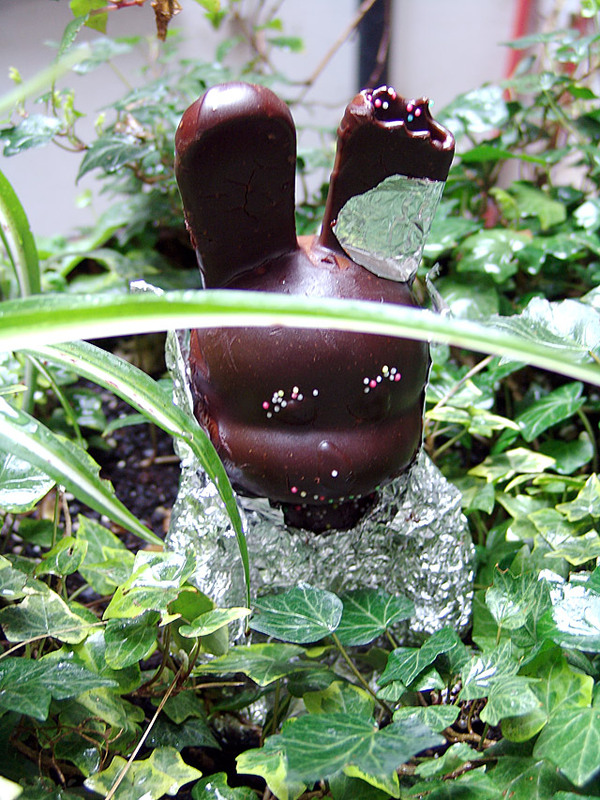 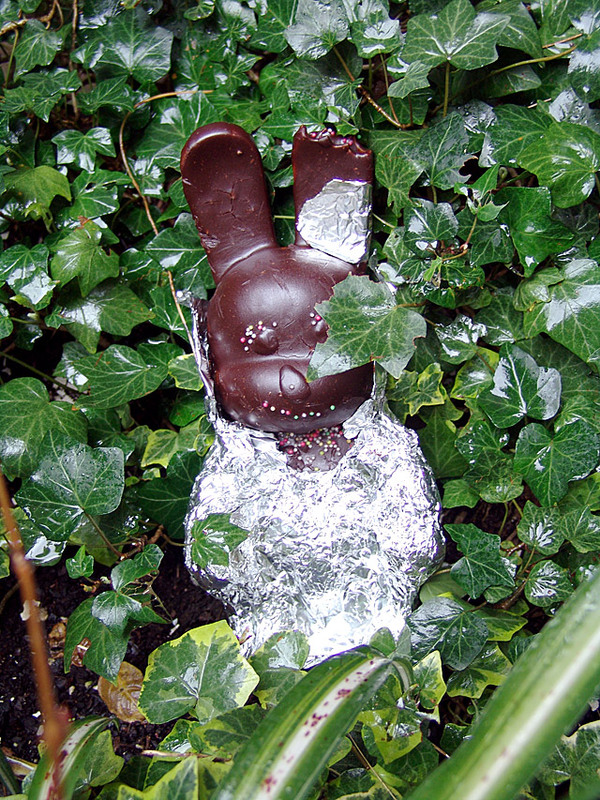 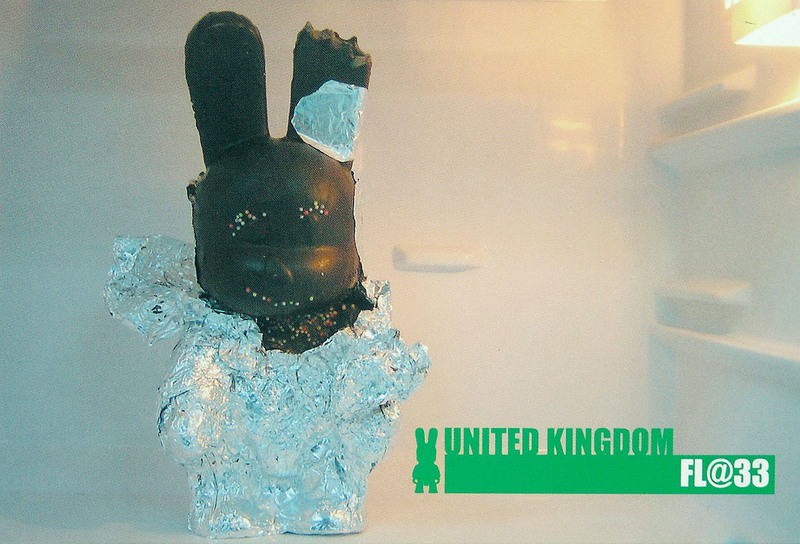 The photograph of Yummy Bunny in a fridge was taken by Toy2R upon arrival of the customised toy in Hong Kong. 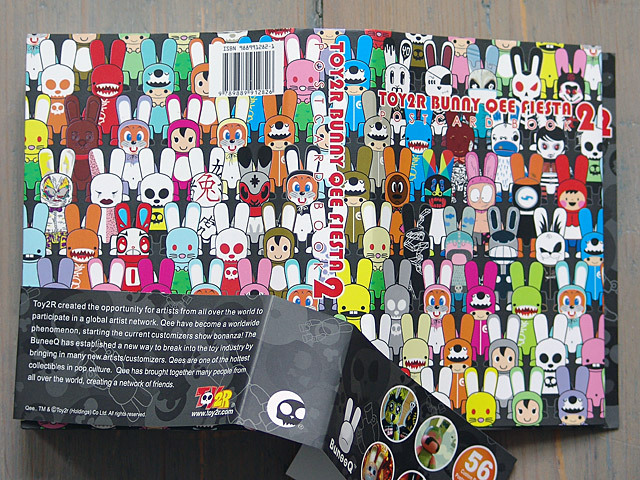 ___ A vector illustration of our Yummy Bunny was also created and made it onto the front cover of the postcard book.